College students spend about $1,200 a year on books and supplies, according to the latest data from the College Board. That’s a lot of cash. But believe it or not, the National Association of College Stores reports that spending on college textbooks is actually on the decline. Textbook expenditures are heading south due to two factors: technology, as well as the overall demand (by students and some colleges alike) for greater college affordability. On the technology front, some colleges are actually providing textbooks free of charge and exploring alternatives to those enormous-sized, and enormously expensive textbooks of a generation ago. 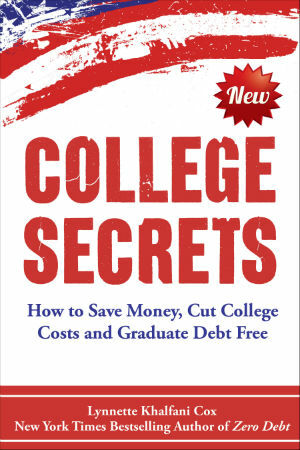 Nevertheless, 40% of U.S. families still report being surprised by certain college expenses – and the most common culprits are college textbooks, supplies and equipment, according to a recent Sallie Mae survey. You shouldn’t have to encounter major, unexpected expenses every time the school year rolls around. To avoid certain unwanted financial surprises, libraries can often be your single best sources of free reading and other needed college materials. Savvy students save many hundreds of dollars per semester by borrowing mandatory textbooks, and most students get the books from their own campus library. You can usually do this in several ways. First, the book might be available for normal checkout, and you can keep it for a few weeks and renew it as often as necessary – provided no one else is demanding the book. Even if you wind up paying a late fee for going past the book’s return date, that fine will be a tiny fraction of the book’s cost. (In fairness to other students, though, don’t hog a book all semester long if there’s a waiting list for it). Alternatively, you can check the Reserve Collection at your college or university’s library. The Reserve Collection is a special area (usually near the Circulation desk) where professors leave designated materials for their students. Professors do this because they understand that books are costly and that not everyone can afford to purchase $200 textbooks. Books held in the Reserve Collection usually have short borrowing periods of just an hour or two. The reason for the tight window is to give as many students as possible the chance to read a popular, required textbook. Books taken from the Reserve area are also usually supposed to be read only within the library; meaning you can’t take them out of the building. 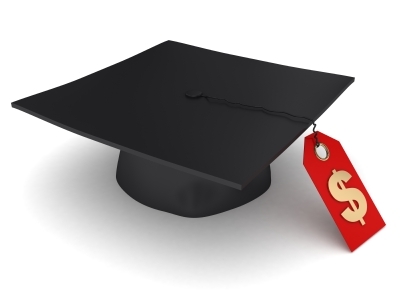 With some classes, there may be exceptions to this general rule, particularly if a professor approves a long-term borrowing option – with “long term” meaning anywhere from a day to perhaps as long as a week. Professors have been known to also earmark other materials — like DVDs, PowerPoint presentations and audio files — in the Reserve Collection area. Getting these materials on a short-term, borrowed basis from the library is a great way to save money on books and other necessary supplies. If you need a specific textbook, but it isn’t available in your school’s library, you have three options. You can ask the professor to please request a copy (or an additional copy) for the campus library. Most professors would be more than happy to oblige this request, especially if there was no book at all put on Reserve for the class. Alternatively, you can take advantage of an under-utilized benefit at many research universities and other institutions. That benefit is the interlibrary loan system. Under this system, your library will tap into the resources of affiliated libraries and see if the book you want is available elsewhere. If a book is located in another library, your campus librarian will arrange to have the book delivered to your school – all at no cost to you. You can get a host of items through interlibrary loans, including: articles, audio-visual materials, books, book chapters (typically emailed in PDF format, with a one-chapter limit to avoid copyright infringement), dissertations and theses, journals, microfilm, recordings and other materials. You often get to keep these items for several weeks and can renew them as well. If no other library in your college’s interlibrary loan system has the textbook you need, there’s nothing to stop you from going to a public library in the city or town in which you live and inquiring about whether they have the book on their shelves. Remember also that certain very large companies have corporate libraries. So if a close relative works for a Fortune 100 firm, he or she likely has borrowing rights and may be able to help you out in a pinch. Most often, though, you’ll just need to go to a nearby public library. If you don’t have a library card for your local library, get one pronto! With that public library card, you can take advantage of all their resources – including their interlibrary system, which may include connections with other public, academic or corporate libraries not tied to your own campus network. In the end, it may take some effort to hunt down all your required books, and it’s very possible that specific books may not be available at all via libraries. But when you do find out that a given book does exist within the library system, it’s wise to take advantage of this free resource. As a final note about library books and other borrowed materials, you should obviously treat these items with the utmost care. Don’t write notes in books, doodle any funny drawings or highlight any of the text. Keep all library materials in tip-top condition, do your best to observe deadlines, and return library items exactly as you received them.